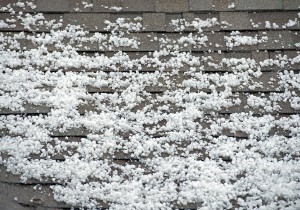 If you’ve experienced hail damage on your roof in Des Moines, Ames, or another city in Central Iowa, turn to the professionals at Waddle Exteriors. Our team stands out from other storm damage restoration companies in the area because we offer a high level of accuracy thanks to our Xactimate program. This allows us to access the exact scope of the damage and determine which materials we need to fix them. After we have all of the information we need we will provide an accurate quote to you and your insurance adjuster on your behalf. Furthermore, you can rest easy knowing that your project will be performed correctly the first time because Waddle Exteriors places an added emphasis on only hiring factory-trained and -certified technicians. What’s more, we stand by our work so much so that we even offer a 100 percent satisfaction guarantee to back up our labor. For more information about why Waddle Exteriors is the right company to repair the hail damage on your roof, contact us today. We proudly serve homeowners in Des Moines, Ames, and all of central IA. Make sure to ask about the convenient financing options we offer to those who qualify.